The RS2e is the little brother of the RS1e but is just as aesthetically pleasing, now utilizing our proprietary curing process that gives a new, lighter look. 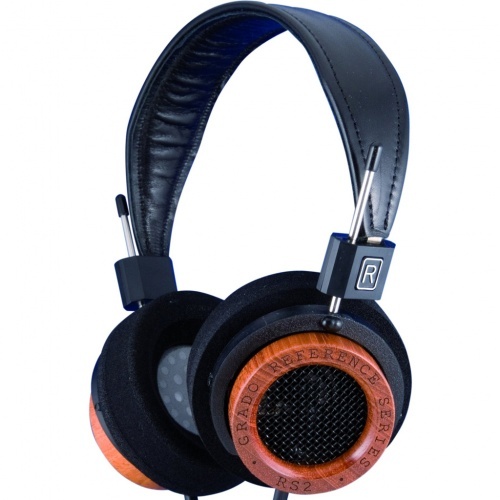 The RS2e has a 44mm driver and uses The e Series 8 conductor cable design. The hand-crafted mahogany utilizes new advanced damping treatments that help control and dissipate resonances. The RS2e still maintains an overall sound that is pure Grado, with warm harmonic colours, rich full bodied vocals, excellent dynamics, and an ultra-smooth top end. These truly are an audiophile’s dream.